The day before reporter Sarah Ovaska at NC Policy Watch broke the news that two 24-year-old former campaign staffers for Governor Pat McCrory working at the Department of Health and Human Services received huge pay raises last spring, the Wilmington Star-News reported on the controversial efforts by the McCrory Administration to turn the state’s Medicaid program over to for-profit managed care companies. The story quoted a local doctor saying he was worried that patients would suffer under the new model that he had seen fail in other states. 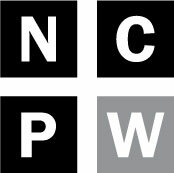 There were comments from folks at Community Care of North Carolina (CCNC), the state’s successful homegrown nonprofit managed care network that has won awards for both saving money and providing patient-centered care. The same day in April that McCrory announced his intentions to privatize Medicaid, Republican Senator Richard Burr presented an award to CCNC for the high quality of care it provides to patients in rural areas. 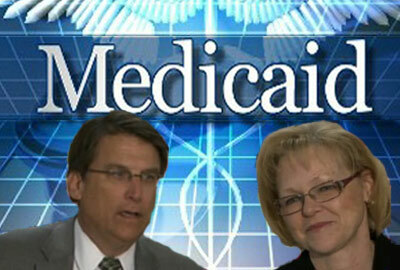 The Star-News story also included comments from McCrory Administration officials lauding the benefits of turning health care for the most vulnerable people in North Carolina over to out-of-state corporations, an idea that as one health advocate pointed out in the story other states like Connecticut have tried and abandoned. In other words, privatizing Medicaid is at best unproven and controversial and seems to make little sense if the state has an award-winning program already in place supported by doctors and patients alike that could be expanded. Medicaid is one of the most complicated and important programs administered by state government, affecting the lives of millions of people, including children, seniors, and people with disabilities. That’s why the story the next day about the huge salary increases for the HHS staffers is so important. It is not only about the money, as frustrating as it must be for scandalously underpaid teachers to learn that a 24-year-old political aide with no health care experience or relevant educational background now makes $87,500 a year as the chief policy advisor at HHS. It’s about the confidence that doctors and patients and taxpayers can have in the McCrory Administration in light of their staffing choices to even administer the Medicaid program, much less dismantle it with an ill-advised privatization scheme. Not to mention the other vital programs the department manages, from public health to psychiatric hospitals to child development and early education. Sadly, there is nothing new about politicians giving former campaign staffers high paying jobs after an election, often placing them in positions that don’t match their background and qualifications. But this episode rises to a different level. HHS Secretary Aldona Wos has decided, apparently with McCrory’s blessing, to put the 24-year-old former political staffer in charge of policy at the department at the very time when the administration wants to make massive changes in how services are delivered to millions of people. Apparently McCrory believes it’s discriminatory to wonder why someone with an English degree and no experience in health care policy should be placed in charge of policy in the Department of Health and Human Services. Wos has yet to respond to any questions about the controversy. Two reporters have described being blocked by body guards as they tried to ask Wos questions at recent public appearances. There might be a reason for that. Wos made headlines at a town hall meeting in May for blaming Insurance Commissioner Wayne Goodwin for the decision not to expand Medicaid in North Carolina under the Affordable Care Act and provide health care coverage for 500,000 low-income adults. Governor McCrory and the General Assembly made that decision, not Goodwin, and it is shocking that Wos either doesn’t understand that or knowingly misled an audience about it. Wos has yet to correct the misstatement or apologize to Goodwin for falsely blaming him for the decision about Medicaid expansion. Now she has hired a policy director with no relevant experience to advise her. McCrory ran for governor promising to change the way state government operates. Surely this is not what most people thought he meant.